Have you been scouring the internet looking for a color certification course? Then I’m happy to tell you your search is officially over. 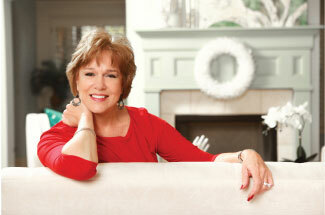 After years of experience working as a professional color consultant, decorator, home stager and redesigner and with well over 1,000 color consultations under her belt, Patsy is uniquely qualified to offer her very own training certification. 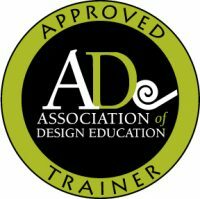 In addition, as of 2016 she is an approved trainer through the Association of Design Education. If you have the desire to work as a professional or simply want to increase your knowledge for your own personal use, Patsy’s Certified Color Consultant course is for you! Are you a Designer who needs a higher Color IQ? Are you a Realtor or Home Stager who needs to specify paint colors for your clients who are selling? Have you taken other Color courses but still lack the “nuts & bolts” training? Do you need help determining how colors will read when the paint goes up? Are you tired of your corporate job and want to do something creative? Are you remodeling your home and want to avoid making costly mistakes? Do you have color skills but lack the knowledge of how to parlay them into a business? Do you want to add new services to your existing business? Classes are taught in Atlanta, GA near I-400 and Holcomb Bridge Rd. This certification course is now three days. Why? We just couldn’t fit all the necessary training into two days. It comes down to the basics of learning the color wheel and the fan decks. Then the training exercises cement the basic training. We perform two color consultations with real clients — one interior and one exterior — and have been told repeatedly that they are invaluable! There is no way to include all of this priceless training in two days. It’s a full and exhausting three days. You will definitely get your money’s worth! Balance is due one week before class begins. Do you have more questions? Then please give Patsy a call at 770-843-2307. She can also be reached by the contact form on this site.